The success of Joss Whedon’s Avengers film is something of a double-edged sword. On one hand, it single-handedly changed the face of modern cape-and-cowl filmmaking both from a nuts-and-bolts and marketing perspective, seemingly giving license to superhero films to go bigger, bolder and more badass. On the other, it’s made the titular comic book supergroup have something of an overexposure problem. Well, perhaps ‘problem’ is too strong a word. Fact is, there are more Avengers comic books out on the market than there are CSI spin-offs, and it all kinda contributes to one giant, Avengers-flavoured overload. You can’t turn a corner round the shelves at Kinokuniya without stumbling across Avengers, New Avengers, Secret Avengers, Avengers A.I. 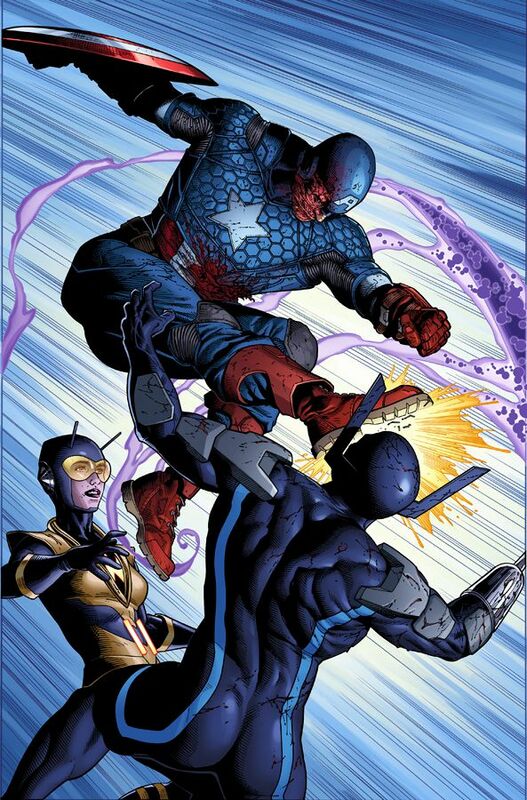 or Avengers Re-enact the Battle of Gettysburg (though on reflection, I’d totally buy that last one). Now, this doesn’t necessarily have to be a bad thing. Having a dozen books with Batman in them could be awesome if there’s variance between them. It could be a great opportunity to show a character in different scenarios with different sets of problems, or have him be part of a bigger ensemble where normally he’d not be a part at all. While books like Batman and Robin and Scott Snyder’s epic Batman core run are most definitely very different flavours of texts, the truth – and the most common complaint levelled at Bat-books these days – is that quite a few titles featuring Batman are just punching things and growling a lot, with the only real differences being who gets punched and growled at. 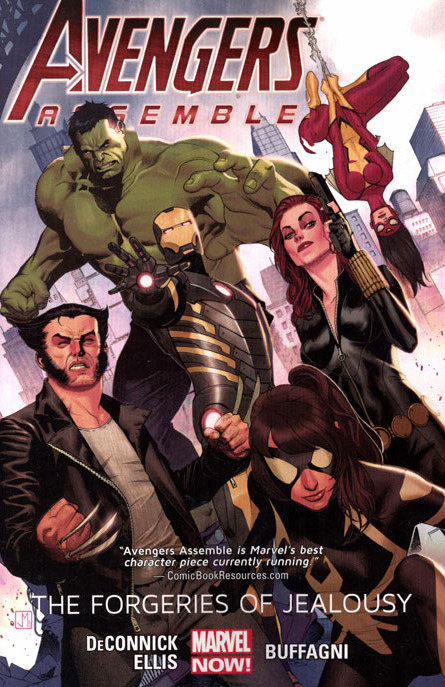 So consider for a moment what a compliment it is for me to say that the overflow of Avengers books produces enough variety that, until I started writing this review, I didn’t actually consider lumping them all together as “Avengers books” but rather as texts in their own right. I mean, yeah, they’re still Avengers titles, but they’re not all the same chocolate with different wrappers. 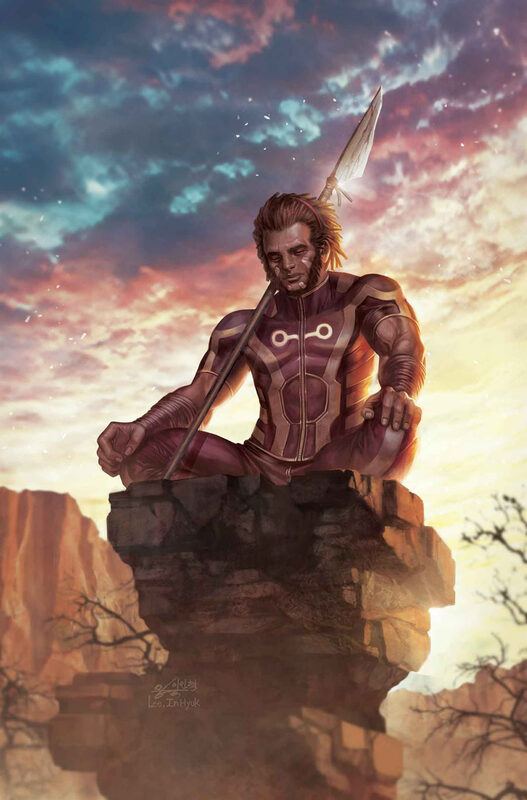 If there’s one thing Marvel’s editorial figures seem to have gotten right recently, it’s to make most of these books feel separate in tone but connected in universe. Considering how many ongoing books exist with the word Avengers in the title, that’s no mean feat. Finally, at six overlong paragraphs into this review, I can tell you that the recent Avengers output is great. Or, rather, the output is great for a franchise intentionally driving its books, for better or worse, in markedly different directions. 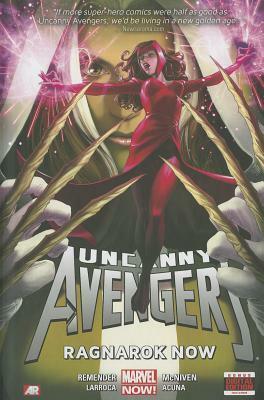 Take Ragnarok Now, the third volume in Rick Remender’s Uncanny Avengers run. Perfectly serviceable and Avengers-y, except for the giant cosmic-level threat and Chris Claremont-inspired background narration included, for all intents and purposes to help keep it distinct from its contemporaries. 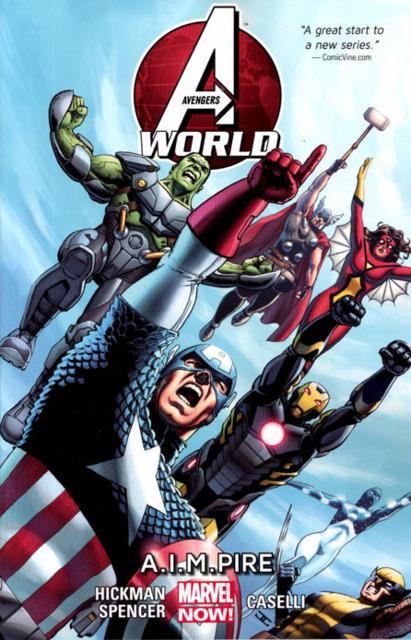 It’s different compared to A.I.M.Pire, the debut volume of Jonathan Hickman and Nick Spencer’s Avengers World series (taking its name from the first volume of Hickman’s vanilla run). Whilst Ragnarok features gods of evil and the world ending, A.I.M.Pire finds a bunch of B-list Avengers teammates getting indoctrinated by some new A.I.M. threat that crossed the Borg from Star Trek with the cabal of evil from Uncanny X-Force. 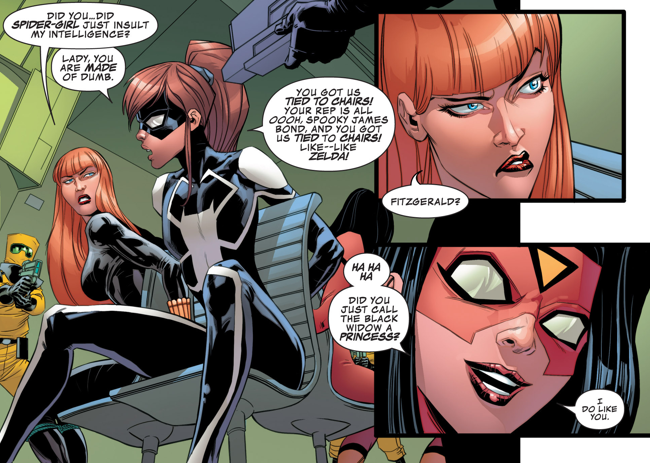 And both of those are different to Forgeries of Jealousy, the final volume of the much-better-once-Bendis-left-it Avengers Assemble that has kind of a week-in-the-life look at the character of Spider-Girl. 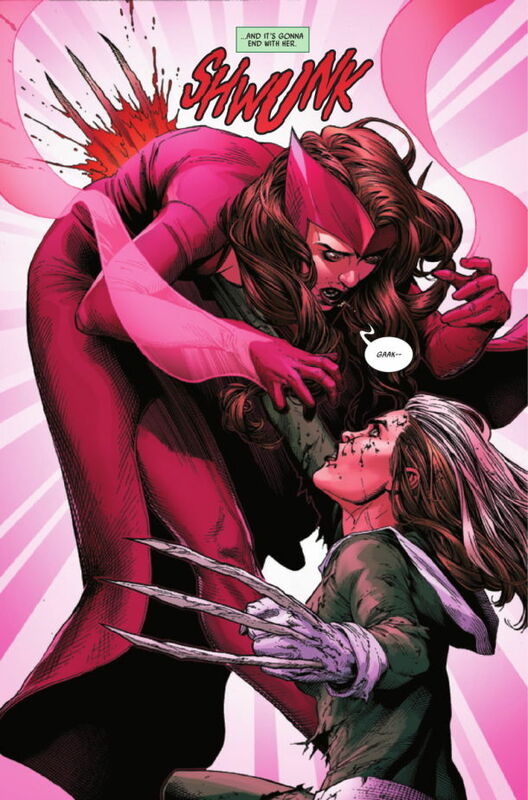 Oh, and there’s also tie-ins to current larger Marvel events like Inhumanity, just to keep that difference going. The result is three books that are pretty good on their own merits, but as a whole larger than its parts’ sum they come across as different for difference’s sake. It feels like each creative team is, whether consciously or not, working their asses off to write stories with greater variety from other Avengers fare simply so they’ll be more recognisable, and not to forge something out of creative impetus. Ragnarok feels a little less like that, especially with a very arc-based, long game player like Remender writing it, but there’s still such a diametric tone to all else out there that it still follows my line of thought even just a bit. Artwork is distinct, in some cases being similar but predominantly individual. Ragnarok Now makes good use of Daniel Acuna, Steve McNiven and Salvador Larroca (though the latter draws really large lips for some reason) with a very dark, blood-soaked palette. 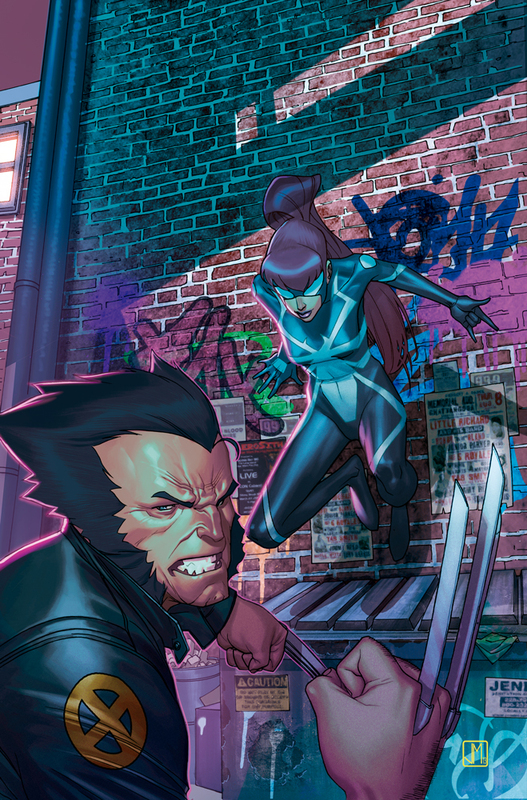 A.I.M.Pire uses Stefano Caselli’s work for large vistas and bright colours, its range punching you in the face almost as potently as its characters could. Forgeries goes for a mid-range, alternate light and dark illustration by Matteo Buffagni with some slightly surreal sharper edges on characters and a surprising lack of eyeballs. Granted, most characters wear those white-eye facemasks, but it still feels at times like everyone’s gotten cataracts. And finally, dialogue varies but not always for the best. As I mentioned, Ragnarok uses a lot of background narration in the over-explain-everything vein of Chris Claremont, alongside every heroic character speaking heroically and every villainous character sounding like a cross between Megatron and Loki. The few moments where A.I.M.Pire dwells on its cast members has them almost speaking with flat, two-dimensional quality when faced with an enemy threat. Granted, that does change in the moments where Bruce Banner drinks too much coffee (getting irritable and ready to turn green) and Starbrand remembers he’s a teenager, and thus proceeds to speak with the kind of faux-quippy wording I’d expect Jake Lloyd to have attempted behind the scenes on The Phantom Menace. And yeah, all those books are different too. Talk about spoiled for choice, right? Actually, the active word there is ‘spoiled’. 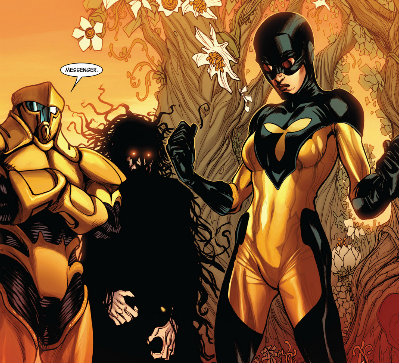 It’s one thing to give a bland spread of Bat-books with very similar but subtly different premises, but having so much Avengeriety (see, coz it’s “Avenger” and “variety” mashed together) kinda ruins some of the magic for me. I’d much rather a cornucopia than carbon copies, but maybe having a plethora of Avenger books for the sake of having them is a little disingenuous to the true seeds of story creativity that spawn some of those books. All three books I’ve just kinda-sorta-but-really-not reviewed are great, and definitely worth reading – if I had to pick one, Forgeries wins by a country mile. But I feel they present something of a cautionary tale going forward, something most readers probably worked out a long time ago. Variety might be the spice of life, but spices have a way of messing up your taste buds if you ingest too much.